After Hours Stamper: Viva Blog Hop! Happy Friday everyone, and welcome to the Viva Blog Hop, hosted by SCACD and Quixotic Paperie. Quixotic Paperie (if you are in Europe you can purchase Viva Pens and rubber stamps at Quixotic Paperie) owned by the Fabulous Elaine, and SCACD, owned by our Susana, have been partnering behind the scenes so much that they now consider each other International Sister Stores. This new partnership/sisterhood has resulted in both stores combining efforts on certain mutual adventures starting with this awesome Viva Blog Hop (which of course involves Yummy Candy). 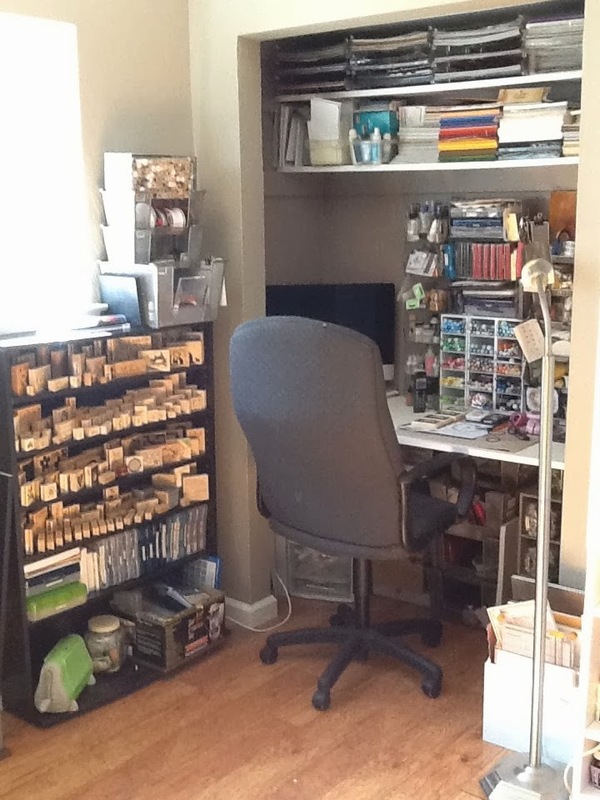 Make sure you stop at BOTH store Blogs: HERE for SCACD and HERE for Quixotic Paperie. You will have a chance to win a set of 3 Pens - (Ice White Pearl pen, Holographic Glitter pen and the Clear Gloss gel pen). Each Store Blog will offer up one chance to win the set. How Yummy is that?!! The candy will run thru the 31st. All you have to do is answer a question at each store blog - 1 entry at each STORE blog per person please! Continue with the blog hop by visiting Kim Costello's blog to see some more exciting uses of Viva Decor Products. Viva Decor products are just amazing, and today the blog hop is all about using these fantastic products on our projects. Everything but the leaves is colored using the Viva Decor Pens! The image was stamped with black ink, then I colored the vase in with the Hologram Glitter Liner. Then I colored the leaves with Copics (YG 91, 93, 97 and 99). The yellow flowers were dotted with the "Sunny Yellow" Gloss Gel Pen, the blue flowers with the "Cobalt Blue" Gloss Gel Pen, the little bits of orange flowers colored with the "Amber" Glitter Liner and then I used the "Hematite (black)" Glitter Liner for a few of the dark stems. To finish off the card I used the "Ice White" Pearl Pen to make the double pearl border. If you haven't yet tried the Viva Decor products I highly recommend that you take the plunge and order a few colors/types of the pens. Every time I take the pens out I find a new use for them, and every card I make using these pens elicits a "wow" from my fellow workers (I put a new card on my desk each week). Stay tuned because there is going to be MORE blog candy next week! Yes, another hop, this time you will be meeting an old friend (can't say more then that) and some more goodies! That is it for now, have a great weekend! WOW...you really put a lot of work into this beautiful card!! I'm impressed at how well your pearl border turned out. AWESOME card!!! Oh my word Jacquie...this is over the top STUNNING!!!! WOW your work always takes my breath away hun! Fantastic card and love all the Viva!!!! Happy Hop! Oh Jacque, this is great!! I just love how you make the card sparkle with the beautiful Viva's!! WOW, almost all Viva Decor products! Cool to see! Must look into those gel pens now. So elegant. Love how you used the Viva Decor. Your pearl border is OUTSTANDING, Jacquie!!! I'm gonna have to steal that sometime lol! Great job using so much Viva on your card : ) Beautiful!!! Beautiful card and colors. Great job wit the pens. I have never tried this. gorgeous card! love the way you used the pens both for the coloring and the oval framing!! Love all those Viva pearls! Great card! Lovely and you did a fantastic job using those pens! !